I actually cannot believe how much I loved this book – it was one of those rare gems that I didn’t want to put down, and was constantly picking up to sneak in an extra chapter while I was meant to be doing other things. From the beginning, this debut novel enthralled me and packed an emotional punch I was not expecting. Within the first couple of chapters I was in tears and trying not to sob, so emotionally charged is Ringland’s writing. One of the things I love most about books is how they make you feel things – and this was certainly no exception! Throughout the novel, the reader is left championing Alice Hart, hoping for the very best for her, and feeling frustrated when she doesn’t follow the right path; yet hoping, hoping, hoping that things will work out nicely for our sweet heroine. A little point of difference in this book is the way each chapter starts with a floral illustration, flower name and meaning behind the flower. It is fascinating and a really nice touch, and helps draw you in to Alice’s world of flowers. I couldn’t recommend this book more highly and I can’t wait to read what Ringland writes next! Nine-year-old Alice lives by the sea with her parents until tragedy strikes and she moves inland to live with the grandmother she’s never known. Her grandmother, June, grows native flowers and ascribes each flower a meaning, much as was done in Victorian times. Alice is loved and nurtured in this world of flowers with their ascribed symbolism, by her grandmother and the women who live and work on the farm. Somehow, though, there is never time for the questions she has about her family. As she becomes an adult, she has to leave the place she loves if she is ever to escape the secrets held there. We are always sure that those we talk to understand the words we speak. But when the words are unspoken, except through the flowers, there can be gaps in understanding. When someone loves us, we are sure that they understand the boundaries when they make decisions on our behalf. But sometimes boundaries are obscured and motivations become muddied by secrets, all in the name of love. 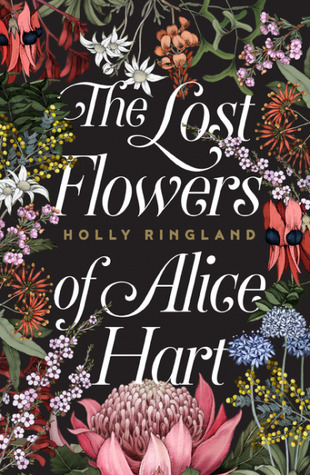 ‘The Lost Flowers of Alice Hart’ is a compelling, multigenerational story about love and guilt and the secrets we keep.